Were you running any other resource packs at the same time? They could be causing conflicts. Hey, this texture is great. I really like the water that make lake or sea better. I think there is a problem when the water flows. It's really hard to see current water and that doesn't help for design some system (when there is a lot of water). Fortunately, i don't need this every second, but sometimes it's hard. Any chance of a MCPE .MCPACK version of these textures? I'm really loving them on the JAVA version, BUT to get my whole family playing together we have to use the PE/W10/XBOX version. Would love to be able to use your resource pack. I’m new to making mcpacks, but I’ll try to make one. Just note that some of the features like the custom sky and the CTM won’t work because they need Optifine. 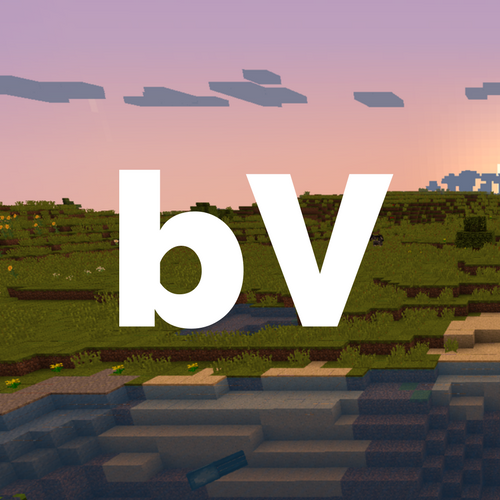 Update: Unfortunately, Better Vanilla will be a Java exclusive resource pack for the foreseeable future. I just don't have enough time right now to develop the pack or port it to pocket edition. However, if I do make a port, I'll send you a PM. I totally understand. I look forward to anything you can do in the future..In the mean time I've gotten back into the java version, myself. Probably has a lot to do with this texture pack. it's one of my favorite texture packs, except the diamond ore texture shows as a missing texture when using this. +1 Im sure that issue is so really easy to fix. Maybe something wrong in the id or languages. :D but i love that sounds and everything. it's my favorite texture pack, except the diamond ore texture shows as a missing texture when using this. It should be fixed now, thanks for the feedback!